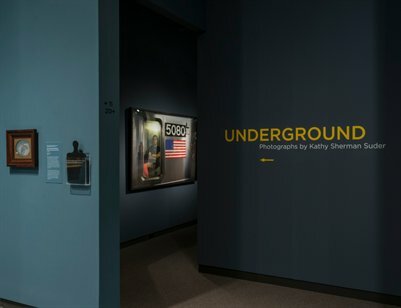 Kathy Suder’s work has been included in three thematic museum exhibitions in the United States and is currently the subject of the solo exhibitionUNDERGROUND: Photographs by Kathy Sherman Suder at the Amon Carter Museum of American Art. Acquired by a number of major private collectors, her photographs are also in the permanent collections of the Amon Carter Museum and the Miami Art Museum. Her photo book, which accompanies the exhibition, has already begun to win accolades competitions. This Travel Proposal describes limited travel and installation requirements, education and outreach opportunities and exhibition details.